Location: A river flowing southwest from the Hill of Himring, skirting Nan Elmoth and Doriath before joining the river Aros; the southeastern boundary of Himlad. 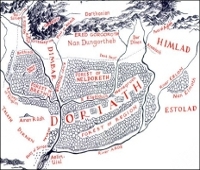 Doriath, showing the Celon between Himring and the Aros. 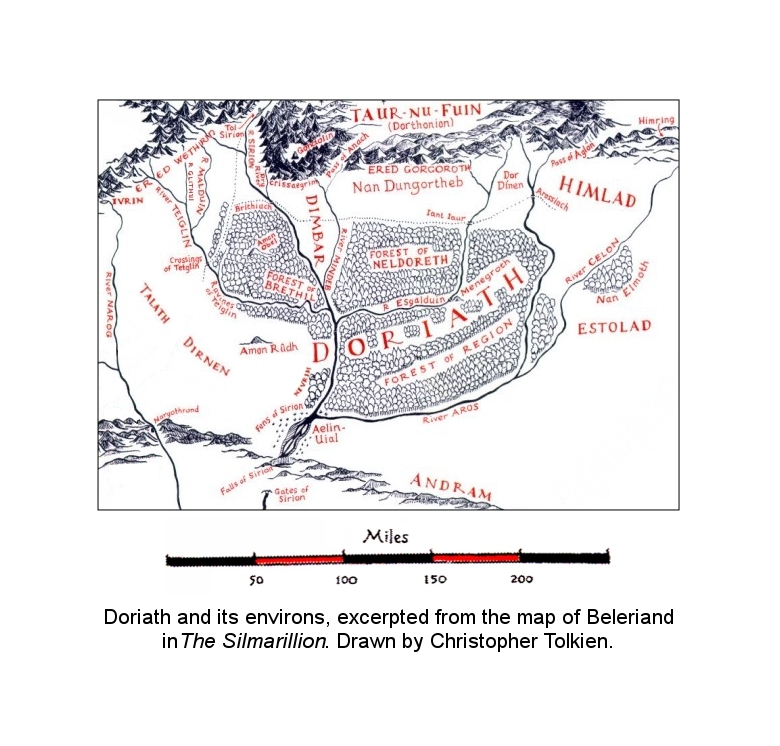 Then... Bëor gathered... his people, and they removed over Gelion, and took up their abode in the lands of Amrod and Amras, upon the east banks of the Celon south of Nan Elmoth, near to the borders of Doriath; and the name of that land thereafter was Estolad, the Encampment. kel- 'go away', of water 'flow away, flow down', in Celon; from et-kele 'issue of water, spring' was derived, with transposition of the consonants, Quenya ehtele, Sindarin eithel.